It’s been five days since Roy Halladay passed away. It still doesn’t feel real. 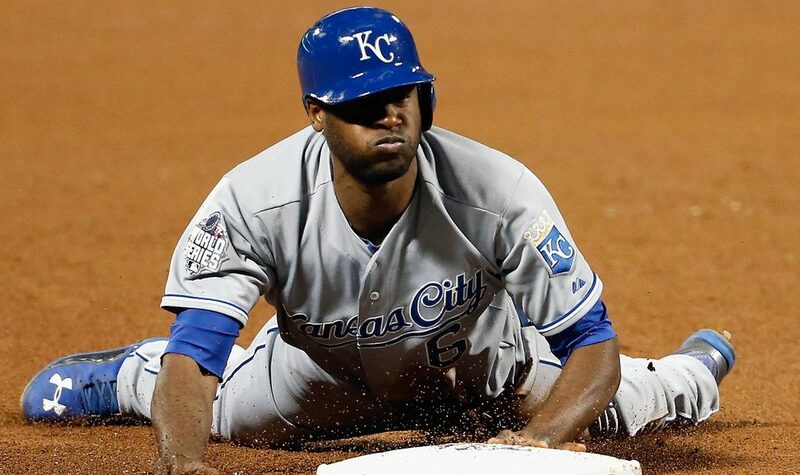 My brain is telling me it happened, but it still hasn’t sunk in that a baseball legend is gone. For 24 hours, Halladay’s passing dominated the headlines. Then after a few days, many had moved on and went back to their regular lives. For others, things will never be the same after losing Halladay. These are the situations that don’t come with a manual. There’s no playbook on “how to grieve the loss of a legend”. There is no playbook, period on “how to grieve” … everybody goes about it in their own way. Unfortunately, there’s no graceful or easy way to do it. For me, dealing with the grief has come in the form of celebration. Looking back at Halladay’s tremendous career. Reflecting on the impact he made on me; a weary baseball fan who stumbled back towards the Blue Jays around 2005 after the 1994 MLB strike extinguished my love for baseball. 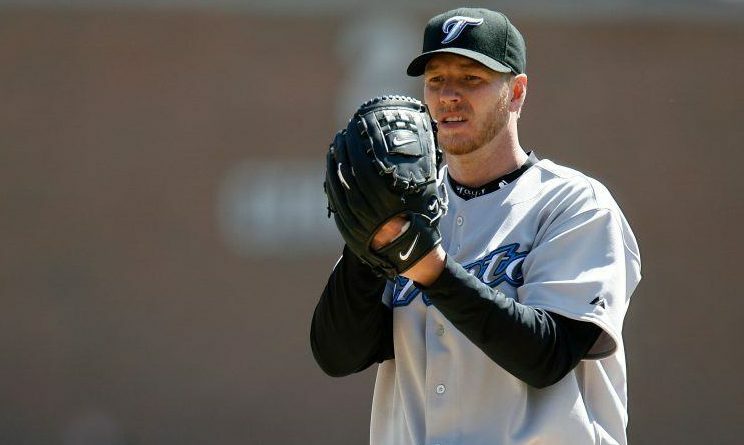 Halladay may not have been the player who brought be back to baseball, but he certainly captured my attention and held my interest throughout an otherwise uneventful time in Blue Jays history. I’ve found myself scouring Halladay’s Baseball Reference page on a daily basis and marveling at all the incredible numbers throughout his career. Noticing amazing things about the games he pitched and the remarkable seasons he had. Did you know that he’s one of only two pitchers in the last 25 years to throw a complete game shutout that was longer than ten innings? Also, did you know Dave Stieb pitched in relief of Halladay during his MLB debut in 1998? If that wasn’t a passing of the torch from one Blue Jays era to another, I don’t know what was. For many, grieving and mourning means looking back at the impact Roy Halladay had upon our lives. A man whom most of us had never met, whom we’d never even come within close proximity, and yet a man who elicited such deep admiration from a fan base. On Friday, a small group of fans and Blue Jays Twitter folks had a tribute for Halladay outside of the Rogers Centre. They left cards and letters to show their appreciation of Doc. Fans in Philadelphia have done the very same thing. It’s a beautiful gesture to honour the man who meant so much to so many people. It truly says something when complete strangers bring letters, cards and flowers to honour Halladay’s life; they may never have met in person, but he touched their lives in an unimaginable way. While the “five stages of grief” is presented as a linear process, I’ve spoken to grief counselors before who assured me it’s anything but. People experience any combination of emotions after the loss of someone. It doesn’t always go as a straight path through denial, anger, bargaining, depression and acceptance. Coming to grips with the loss of Halladay is a difficult exercise no matter how important he was to you. Every day, I find myself combing back through old interviews or Halladay highlights and reminiscing about the “Doc days”. Maybe there’s a particular moment, game or season that sticks out in your mind as your favourite Halladay memory. It’s been wonderful to watch people share their favourite moments on Twitter and whatnot, because it validates the scope and impact Halladay had on people. Sure, his playing days had long since passed since he retired a few years ago. Players aren’t “forgotten” once they hang up their cleats, but athletes occupy a different space in a fan’s mind once that player steps away from the game. Going back and saying “Hey, remember when Halladay one-hit the Yankees” has a much different meaning now than it did one week ago. People often look back and romanticize the career of particular players. That wasn’t the case with Roy Halladay. There was no romanticizing what he did; Doc was like Shakespeare on the mound. He made pitching look effortless. He worked with surgical-like precision out there. I know it all sounds like Halladay hyperbole, but there’s a chance we actually may be underselling what he accomplished. Not only for his contributions to the Toronto Blue Jays and baseball in Canada, but what he gave he to the sport of baseball. Like any loss, there’s no one way to act. There isn’t a “proper” emotion to feel right now. Cope the way you feel works best for you. Just because it’s a professional athlete, doesn’t mean there wasn’t a connection between Halladay and the fans. The best advice I can offer? Celebrate the incredible man, father, husband and baseball player Roy Halladay was. Listen to interviews with his former teammates and coaches. This one in particular from Orlando Hudson on TSN 1050 is not only chilling, but inspiring. Go back and hear Halladay’s interview with The Fan on the day of his retirement as a Blue Jay. Listen to Drew’s anecdote about Doc from the 2014 Home Opener (it’s close to the end of the show). Talk to friends about your favourite Halladay moments. After that, the indelible mark he’s made on this earth will become remarkably clear. On Tuesday at 4:00pm, there will be a memorial service for Roy Halladay in Clearwater, Florida; the Philadelphia Phillies’ home in Spring Training. It will be a chance for fans to pay their respects and honour the man who was one of the best pitchers of his generation.